Over the years, Marvin Newman has repeatedly fixated on everything from old women’s calves and men sprawled out on park benches, to sewer covers and mannequin heads sporting hats. He has thought a lot about the role of series in photography, starting with his master’s thesis — one of the first of its kind — while studying at the Institute of Design in Chicago with Harry Callahan and Aaron Siskind. One of his earliest series featured apparition-like shadows on Michigan Avenue in Chicago. “Sequentially Sought,” an exhibition now at the Howard Greenberg Gallery in Manhattan, showcases his tender and sometimes tongue-in-cheek take on 1950s New York and Chicago. 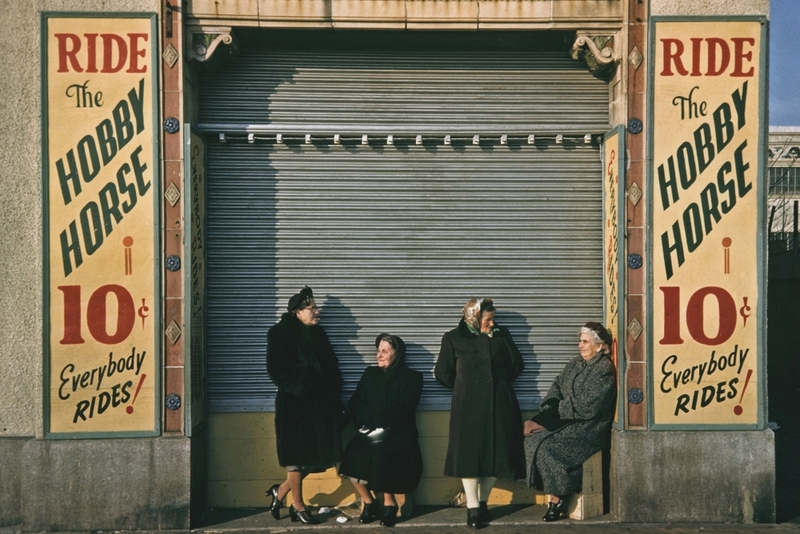 The images range from his black-and-white photos of mannequins to color photos of the Coney Island boardwalk in the winter (which fueled his breakout as a color photographer).